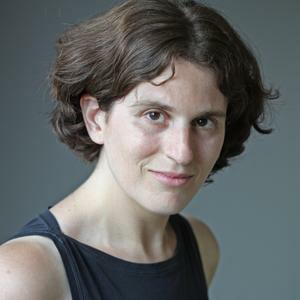 May is Mystery Month at 49th Shelf, and there's no better way to kick things off than with an interview with critic Sarah Weinman. Weinman is the National Post's Crime Fiction columnist, and has written for the New York Times Magazine, the Wall Street Journal, the Washington Post, and other publications. She is also editor of Troubled Daughters, Twisted Wives: Stories From the Trailblazers of Domestic Suspense. Here, she talks to us about her book and its Canadian connections, attempts to define Canadian crime fiction as a genre, and names up-and-coming authors on the scene. 49th Shelf: You've written about crime fiction for publications in the US and UK, as well as your "Crime-Wave" column for the National Post. And while this is such a Canadian kind of question, I need to ask it: What is distinctive about Canadian crime fiction as a genre? Sarah Weinman: You know, considering how much time I spend reading contemporary Canadian crime, I haven't really given much thought to this question before. I'd say there's an extra sense of warmth and caring and empathy that exists in the best of these books, even when there is a superficial trapping of cynicism (which, after all, is disappointed idealism more often than not). There isn't—not yet, anyway—the sense of nihilism you see in French or other European noir, or some commensurate "failed American dream" that is in a lot of American crime fiction. Perhaps it's because, to paraphrase a great essay reprinted in the recently published Detecting Canada critical collection, my native country was founded with a strong sense of law and order and didn't have thousands of miles of outlaw country as did my current country. But that's just a theory. 49th Shelf: What interesting trends do you see happening in Canadian crime fiction at the moment? SW: Ultimately CanCrime (if i can abbreviate it that way) is still fairly small that I'm not sure of overall trends. But individual authors like Louise Penny, Peter Robinson, Barbara Fradkin, Maureen Jennings, and Gail Bowen cast big long shadows with respect to police procedurals, historical mysteries, and amateur sleuths. I am seeing more paranormal suspense (Simone St. James won the Arthur Ellis last year) and more noir (Mike Knowles, D.B. Carew, John McFetridge.) I think others making their mark in a big way include Hilary Davidson (psychological suspense) and Owen Laukkanen, groomed as the next Great Big Thriller writer, a notion I heartily endorse. 49th Shelf: Which writers do you view as the old-guards of Canadian crime fiction, and who are the up-and-comers? SW: I guess I sort of answered that in the previous question! But to add some more names: Howard Engel as the Grandmaster of the Old Guard, and Alison Gordon and Sparkle Hayter are the Canadian writing voices I miss the most. 49th Shelf: Louise Penny. I love Louise Penny. Her brilliant How the Light Gets In was one of your favourite crime fiction books of 2013. You write, "...my boredom with police procedurals melts away when I read Penny's Inspector Gamache novels." What do you see as the key to her books' appeal? SW: I've written about Penny's work so much over the years that I am probably repeating myself, but ultimately, it comes down to the melding of the Agatha Christie-like Golden Age feel with an utterly contemporary sensibility. Poirot, ultimately, couldn't transcend his Little Grey Cells, a brain housed in a detective. Gamache feels and thinks and acts more like a real, flawed, human being, surrounded by real, flawed, often conniving and double-dealing people, even if they might have meant well at the start. 49th Shelf: You are editor of the anthology, Troubled Daughters, Twisted Wives: Stories from the Trailblazers of Domestic Suspense, which includes one Canadian writer, Margaret Millar. What should readers know about her work? SW: I would point readers to the essay I wrote about Millar for the National Post, as well as Kathleen Sharp's much longer piece for the LA Review of Books. Millar really got the inner workings of people of all stripes, of all psychologies. 49th Shelf: Do you see any Canadians writing today as heirs to the Domestic Suspense genre you celebrate in your book? SW: Hilary Davidson for certain. Simone St. James, after a fashion, though I'd compare her more to Mary Stewart and Daphne Du Maurier (mixed with some Jacqueline Winspear.) Gail Bowen's Joanne Kilbourn novels, starting in 1990, are a good bridge between generations past and present. 49th Shelf: Which Canadian books are you looking forward to reading in 2014? SW: I've read and very much enjoyed the latest by Laukkanen, St. James, and Davidson. I'll say more about Knowles' latest Wilson novel and McFetridge's early 1970s-set Montreal thriller in later columns, but I also quite liked both those books. Louise Penny, obviously, though I am taking a year off from reviewing her work, as I did with Peter Robinson last year (so he's back on this year.) I'm still eager to read new voices, so I'm hoping to have my socks knocked off by someone I've never heard of! Sarah Weinman writes the "Crimewave" column for the National Post and is the editor of Troubled Daughters, Twisted Wives: Stories From the Trailblazers of Domestic Suspense, published last year by Penguin. She is also News Editor for Publishers Marketplace, a contributor to the NYT bestselling serial suspense novel Inherit the Dead and has written for the New York Times Magazine, the Wall Street Journal, the Washington Post, and many other publications. She lives in Brooklyn, where a number of other Canadian expats have congregated.